Summary: Junie B. Jones and her Big Fat Mouth is one of a series of books in the Junie B. Jones series, in which Junie B., a precocious kindergartener gets into all kinds of funny troubles. In this book, Junie B. 's mouth keeps getting her in trouble, either by eating dirty candy, talking when she shouldn't, or bragging when she can't back it up. Junie B. 's troubles are always funny (and a little silly) and it's interesting to find how she gets herself out of them. Themes: being a little girl, getting into trouble, having a baby brother, making friends with adults, "Job Day" at school. Audience: This book is good for young children and early readers who are just getting into chapter books. It's got a fun subject and the style is quite funny. It's a thin book, with lots of pictures, to help retain attention. Although Junie B. is a girl, she's a tomboy and her antics seem to connect with both boys and girls. Best of all, there is a whole series of Junie B. Jones books, so if your child gets hooked, you'll be reading for a while. 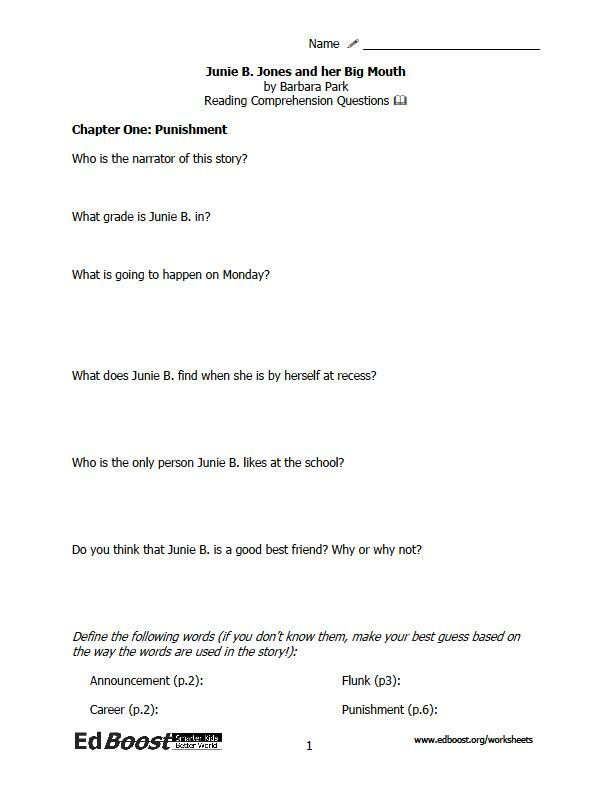 Note: Some schools and teachers are not fond of Junie B. Jones because the books, written in first person (and told by Junie B.) sometimes use wording and syntax that is not completely correct (for instance, "Mrs. did a frown at me"). However, kids seem to really enjoy these books, Junie B. usually learns a good lesson at the end, and most children seem to understand that Junie B. talks and writes the way that she does because she is a little kid. We find these books to be far less objectionable than some others (e.g., the Captain Underpants series) that contain misspellings and other problems. We find that the little kid syntax helps students relate to the character (just as an adult novel, written in a souther vernacular, would help establish the tone and setting of the book).